Rome is one of the great cities of the world. It has been for over two thousand years, and continues to be to this day. If there is a wine that is synonymous with Rome, it is Frascati. This wine has been produced in the countryside around Rome for almost two thousand years. The Romans referred to it as the Golden Wine both for its color and its value. It has become embedded in the cultural and economic traditions of the city. In fact, in 1450, there were 1,022 taverns in Rome. Producers of Frascati owned almost all of the taverns. It has been said that Frascati is the most often mentioned wine in Italian literature. Pope Gregori XVI, in the first part of the 18th century, said it was his favorite wine. Rome sits in the province of Lazio (also called Latium), which is on Central Italy’s west coast along the Mediterranean. Most of the grapes grown for wine in Lazio are white varietals. Despite being home to such an historic city, Lazio does not have the wine reputation of most of Italy’s other regions. Perhaps that is because Rome has always provided such a ready market for whatever wines were made, the growers were never really challenged. The wines made in close proximity to Rome are collectively known as Castelli Romani, nine communes that produce wine in the Alban Hills, which are just south of Rome. 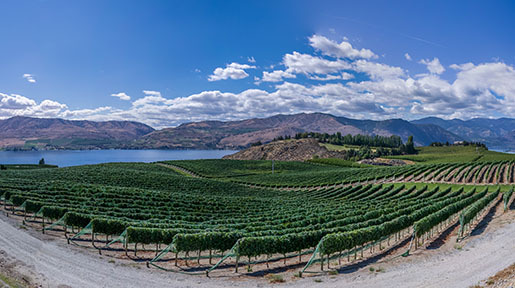 The vineyards range from 200 to 1,000 feet in altitude. The Soils are well drained and volcanic. The Mediterranean provides some influence but the climate is more affected by the hills. Of these, Frascati is the most famous. It has historically had a widespread reputation as an inexpensive and serviceable white wine served in the cafés of Rome. The potential, however, is there to really improve the wines. Frascati, under DOC laws, is made in either a dry or a sweet style and either still or in a Spumante (sparkling) style. The dry table wines are perhaps the most popular. They are labeled as Novello, Superiore, or Novello Superiore. The wines are made from at least 50% Malvasia biance di Candia grapes. The balance of the grapes can be from several varietals: between 10% and 40% Malvasia del Lazio, up to 30% Greco and/or Trebbiano Giallo and/or Bellone and/or Bombino bianco, and up to 15% local white varietals. The Malvasia gives the wine a citrus aspect. 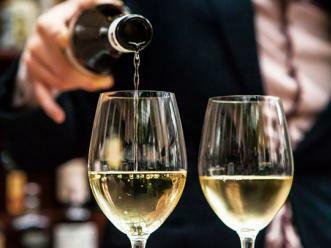 The Trebbiano is more delicately flavored with floral notes that add a striking acidity to the wine, but not much flavor. Accordingly, there is quite a diversity in the final styles of the wines. Some wines are subtle and flowery while others have lots of fruit and acidity. With such broad guidelines, there is no “typical” style of Frascati. This is both a blessing and a curse. There is no proto-typical style of Frascati and that makes it harder to market outside of Lazio. It is hard to establish criteria for defining what is “good” Frascati when there are so many styles. So many styles, however, offer the consumer many choices. Despite Frascati’s reputation as a undemanding wine, some producers are embracing its potential. 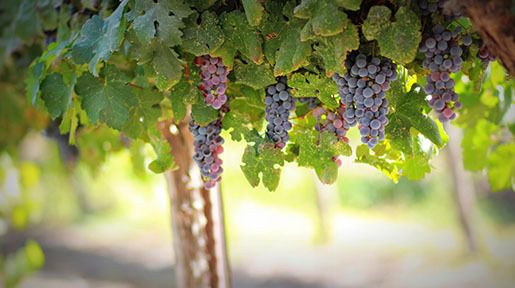 Utilizing modern techniques in the vineyards and the winery, in addition to discovering the right blend of grapes, Frascati has entered the modern wine world. There are, in fact, some very good Frascati’s out there worth buying. Castel de Paolis makes Vigna Ariana, a fruity wine that has some Viognier added, giving it some tropical fruit flavors. Villa Simone’s (owned by Rome’s best-known Enoteca owner, Piero Costantini) Frascati Superiore Vigna Filonardi is a delicate, citrusy wine with great acidity. Somewhere in between are Fontana Candida’s Santa Teresa and Poggio Le Volpis Franus. You should be able to find all of these wines for around $10 a bottle. A bit more expensive is the Poggio Le Volpi PEOPLE. I am not sure it is worth the added money, it retails for $16, but compared to other wines in that price range, it is very good. These wines make for great sipping on a hot summer evening. They generally have low alcohol levels, around 11-13%, which makes them great with lighter pasta dishes and vegetables. When purchasing a bottle, try to find the youngest bottle of Frascati you can. There are some 2007’s available on store shelves now. I would not buy anything older than a 2006 or perhaps a 2005. These are not wines that are made to age. Although Frascatis may not be the most profound wine experience you ever have, I would encourage you to go out and try a bottle. Perhaps it will conjure up memories of the eternal city. Or maybe, it will get you to plan your next trip there. You can pretend you are sitting in the cafés, just watching the world go by. If you do try a bottle, please let me know what you think.